There’s nothing like putting away the electronics and stepping into the great outdoors for a few days (or few weeks, if you’re lucky). If you’re planning a camping trip with your family, you may be worried about balancing some at-home comforts while roughing it in the woods. We’ve found some helpful camping hacks that will help you do just that — enjoy the outdoors without losing your mind (or comfort). 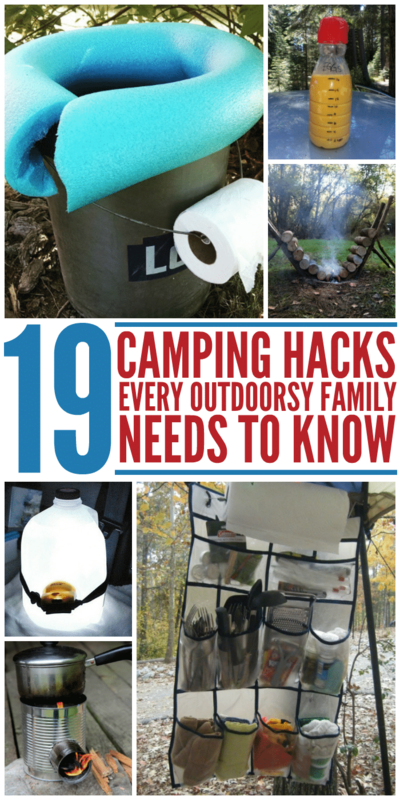 Related: Get our Free Printable Family Camping Checklist! 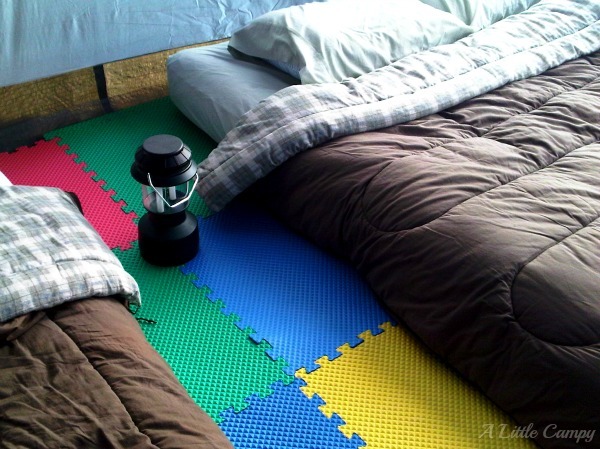 Add foam floor tiles to the tent floor to make sleeping a little more comfortable. Every little bit helps, right? 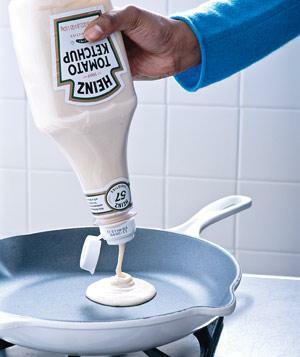 Add your pancake batter to a ketchup bottle before your trip to make your morning breakfast prep super easy. No grill? 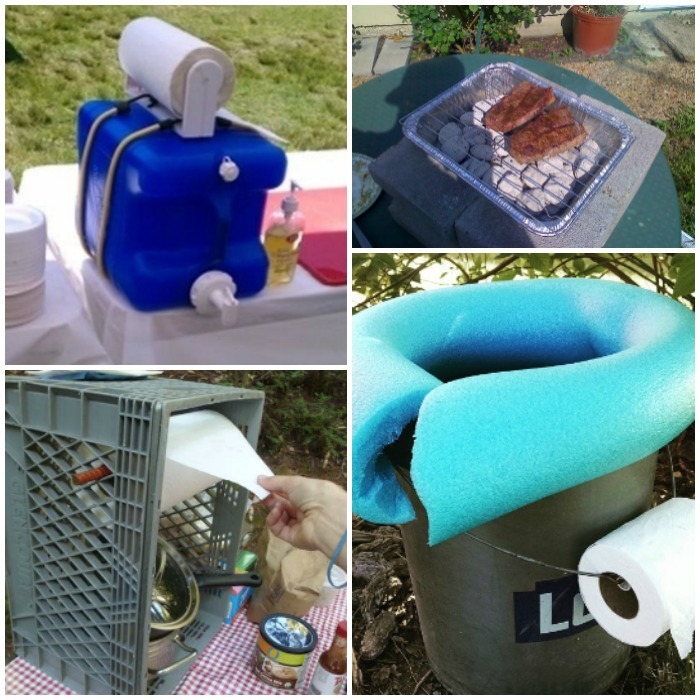 Make one for your camping trip with simple materials from the Dollar Store. 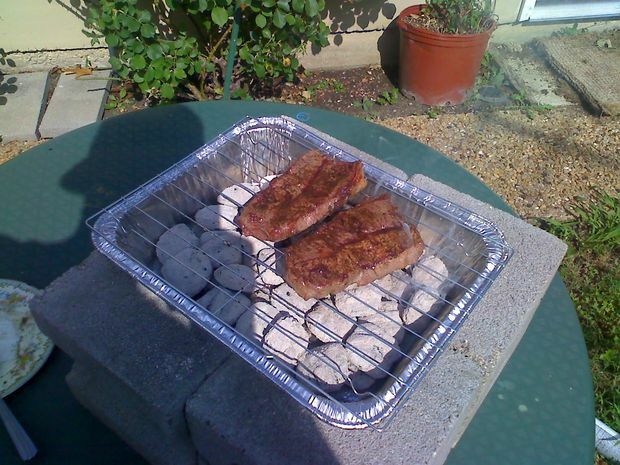 This makeshift grill only cost $2! 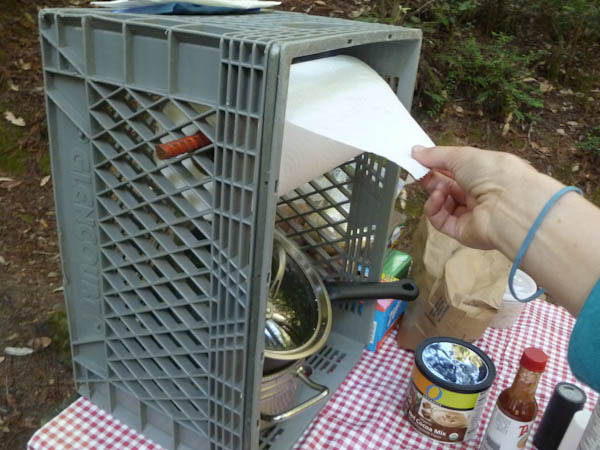 Use a milk crate to set up a station for paper towels and dishes. 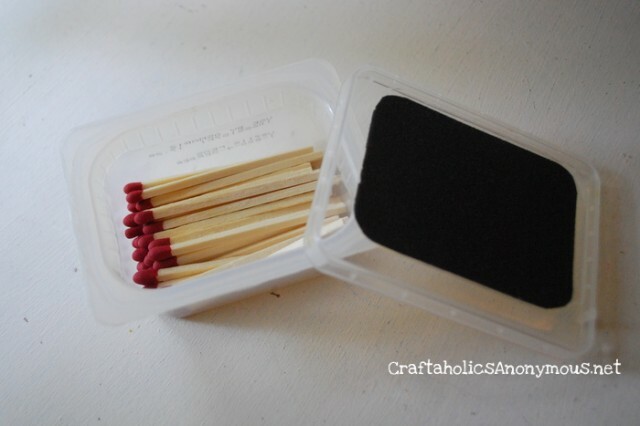 Put matches in a baby food container, and glue a piece of sandpaper to the top. If you buy the big containers of matches because you go through them like crazy in the summer (like we do), this will really come in handy! 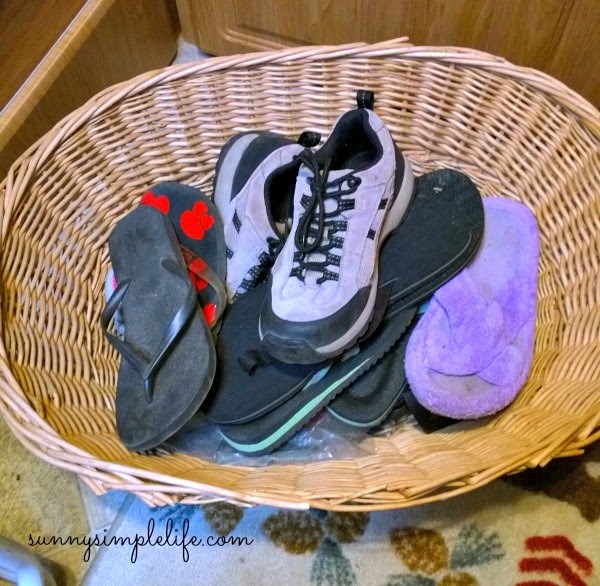 Set up a shoe basket outside the tent or trailer to keep from tracking dirt inside. If you’re sleeping in a tent, this is a MUST! 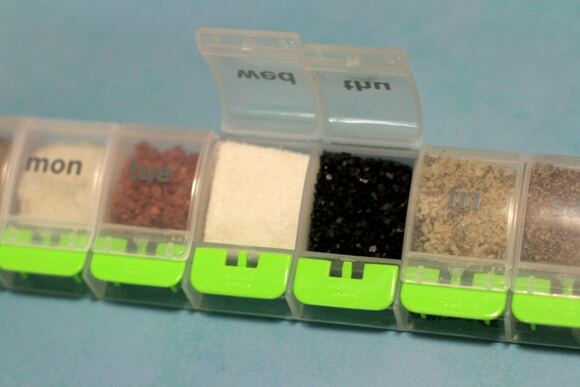 Take your favorite spices in Tic Tac containers. No use lugging large bottles of spices into the woods! 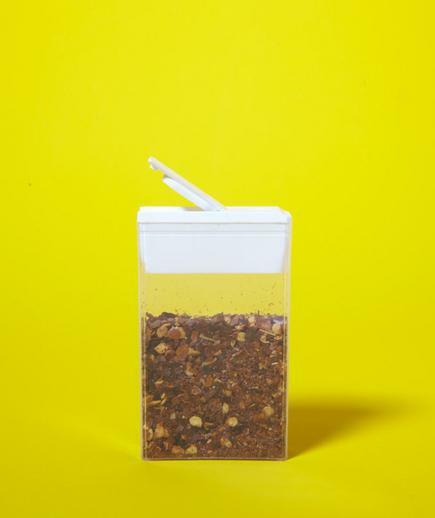 Or use a weekly pill dispenser to hold your spices instead. You can pack lots of variety into a little space! 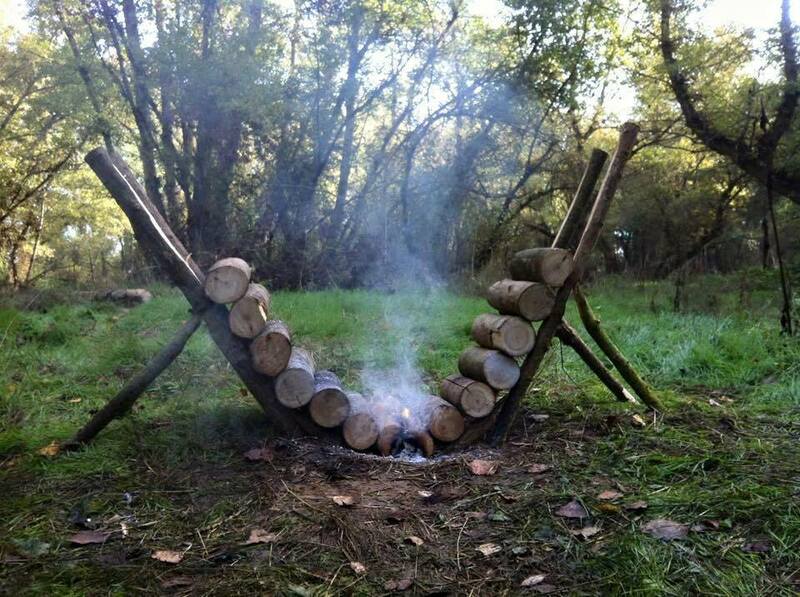 Start a campfire with ease! 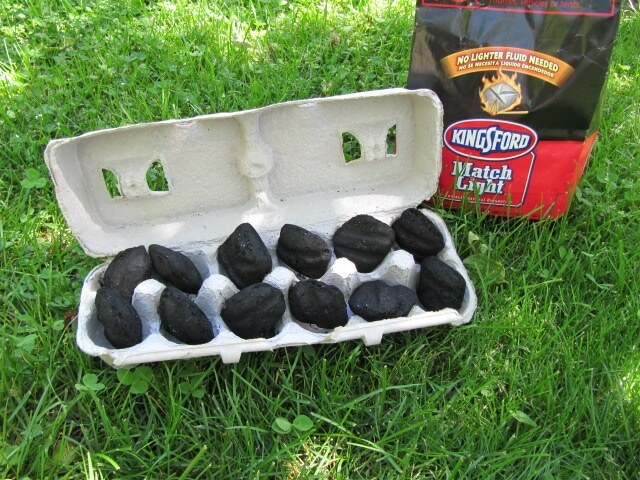 Add nuggets of charcoal to a cardboard egg carton, and light it on fire when you’re ready. Easy peasy! Someone’s likely to get a little knick or scrape during your camping trip. Make your own single-use antibiotic packs to take along. All you need is the antibiotic ointment, some drinking straws and a lighter. Set up a portable handwashing station! 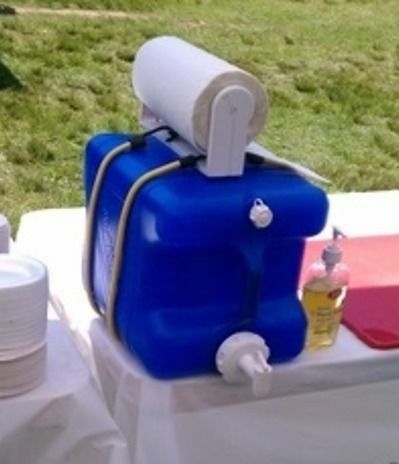 Use an old laundry detergent container, and add a roll of paper towels on top with a bungee cord. Have trouble “going” in the woods? Here’s a nifty solution. 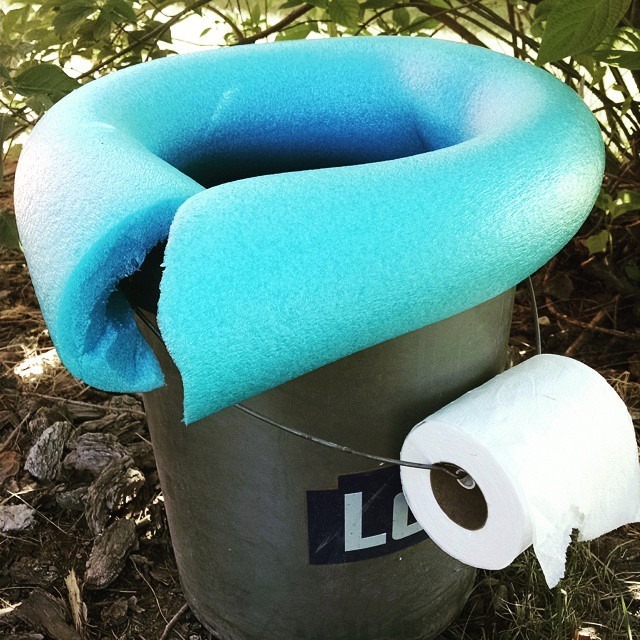 Put a pool noodle over a 5-gallon bucket, and hook the toilet paper on the handle. 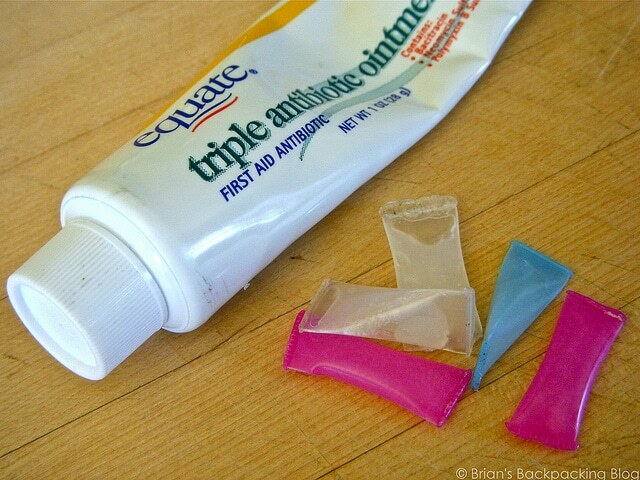 Cut a hole in the bottom of the bucket and sit it over a dug-out hole during your trip. Cover the hole and move the bucket to a new location as needed. Don’t spend a lot of money on a portable stove. 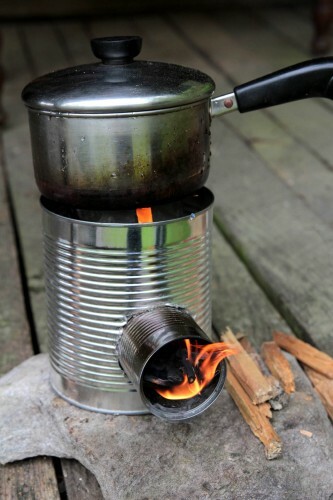 Make one yourself out of tin cans! Get the tutorial here. 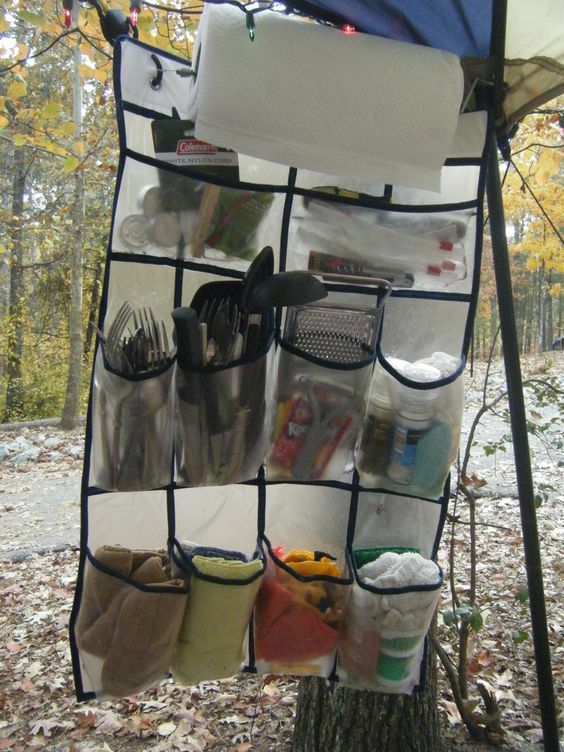 Turn a shoe organizer into an outdoor kitchen organizer. You’ll have everything you need to cook and serve food right at your fingertips, and it only takes two seconds to hang up! 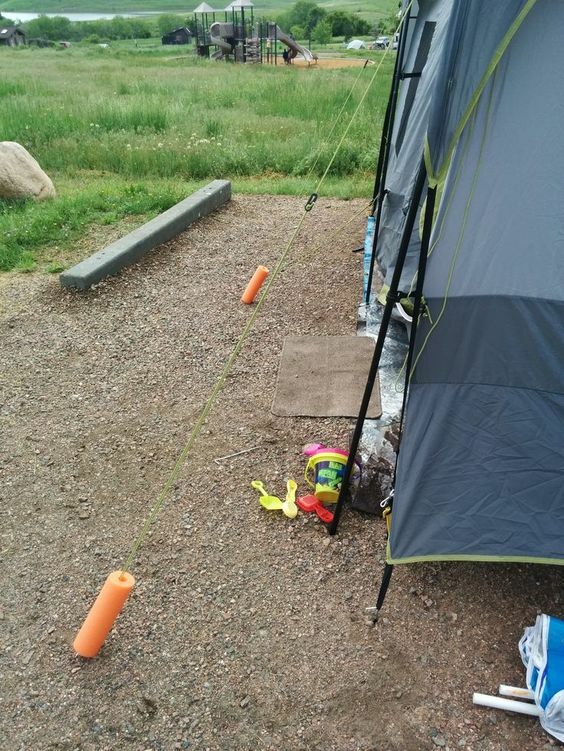 Ya know how you never see the tent lines until it’s already too late… you’re in the process of tripping over them? Marking them with pool noodles can save you the embarrassment. 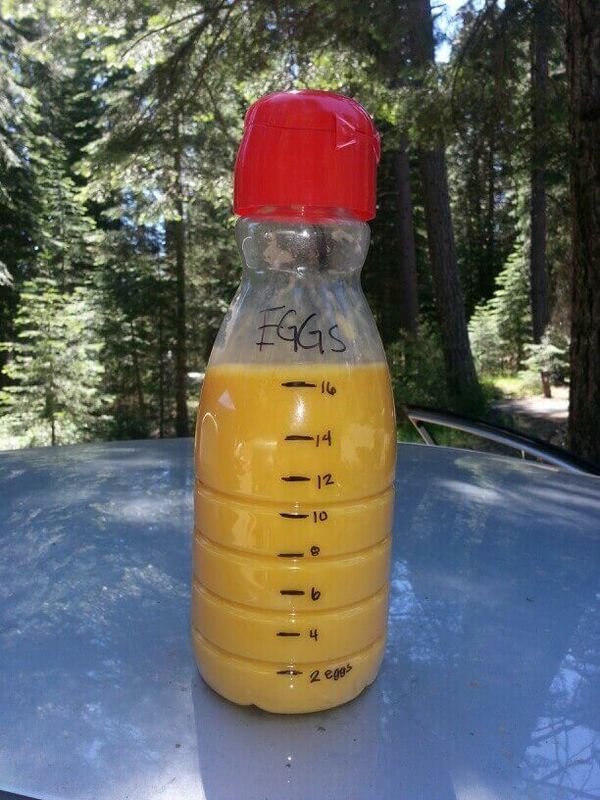 Mix your scrambled eggs before your trip, and put them in a bottle instead of trying to carry fragile eggs to your campsite. 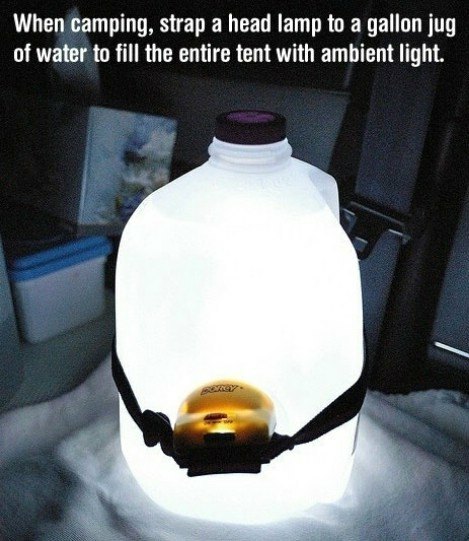 Turn a headlamp into a bigger, softer light with a simple jug of water. It really works! 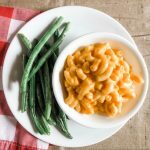 Tired of getting up in the middle of the night to feed the campfire? Build a self-feeding fire instead. It lasts up to 14 hours if done right! 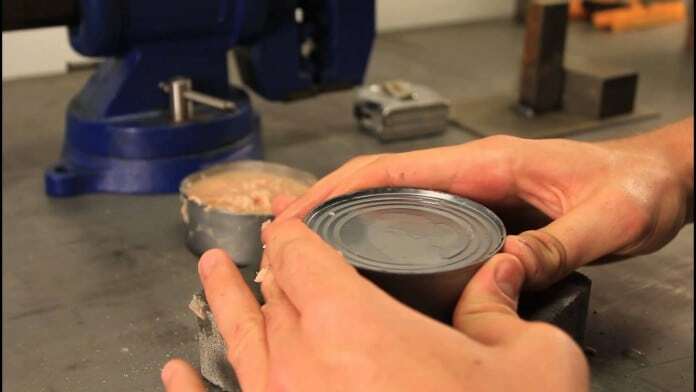 In case of a zombie apocalypse (or if you simply forgot your can opener at home), here’s a tutorial to teach you how to open cans without any tools. 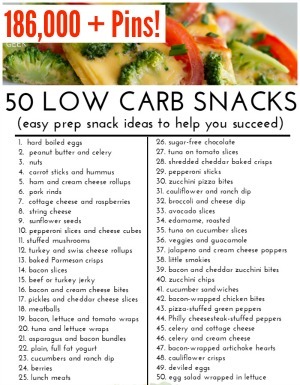 It looks easy enough, but if you actually try it, let me know how it works for you! 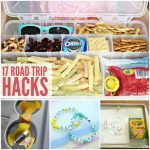 Want more camping tips? 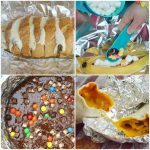 Check out this list of Irresistible Camping Food Ideas! 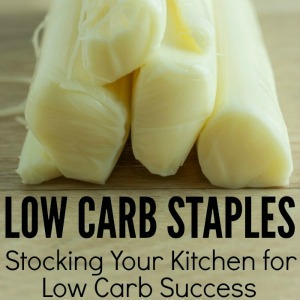 These are such good tips! I especially love the shoe organizer one. 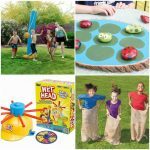 I’ll be using these for our summer’s first camping trip for sure!